In the July/August issue of Skin Deep, the publication of the Associated Skin Care Professionals (a professional esthetician organization I belong to), I came across an interesting article about how rice and sake, which is made from rice, benefit the skin. According to Shelley Burns, author of the article, sake can make the skin soft and beautiful. How exactly? 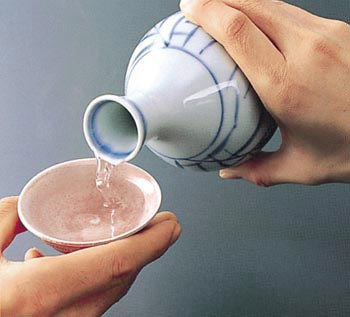 Sake is made from rice, a staple in the Japanese diet. The high nutrient content of rice includes the B complex of vitamins and minerals. Externally, it can be used as an exfoliant or in a spritzer to hydrate the skin. It can also be used in a bath, if you are not inclined to drink sake. In fact, before soap was invented, the Japanese would make loofahs by adding rice bran to washcloths. 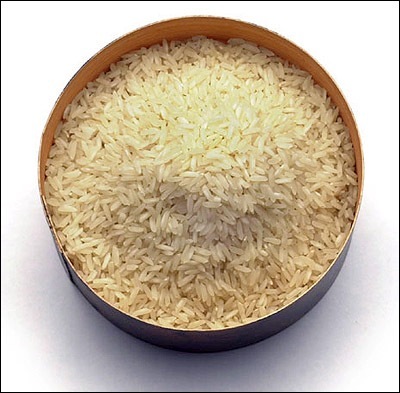 Rice-based skin care products can also increase ceramide production, critical in slowing the aging process. Ceramides are natural fats that help form skin structure; they are the glue that holds the cells together and locks in moisture. By increasing ceramide production, moisture is secured, allowing for a warm, healthy glow. Boil Japanese rice (Oryza sativa var. japonica), making sure the rice is covered by at least one inch of water. You will be using the water, so you want to ensure the rice does not absorb it all. Strain the water from the rice, let it cool, and use it as a face wash or wash your hair with it. The rice water acts as a toner, reduces the appearance of pores, and adds shine to your hair. Kojic acid, a fairly well-known skincare ingredient that claims to help lighten hyperpigmentation, is actually created as a by-product during the manufacture of sake. While many tests have shown that kojic acid is quite effective inhibiting melanin production it remains a highly unstable ingredient that quickly loses its effectiveness when exposed to light or air. Because of this issue there is a high rate of allergies and skin irritations that have been linked to kojic acid. In order to overcome those issues manufacturers use kojic dipalmitate instead of kojic acid in skincare products, but unfortunately there is no research proving that kojic dipalmitate works as well, or at all, as kojic acid. So if you are interested in using a product with kojic acid in it in order to lighten hyperpigmentation be sure to check the ingredients of the product before you purchase it to make sure that you are really getting the right ingredient in your product and not just wasting your money.